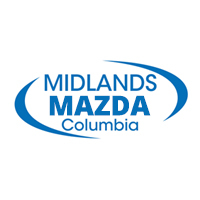 Use the car payment calculator at Midlands Mazda to get an estimate on your auto loan rate or monthly car lease payments in the Columbia or Irmo areas. Determine your purchase price for your Mazda CX-5 or Mazda3 with this easy-to-use car payment calculator. If you have any questions about your car loan estimate, be sure to take the trip from Lexington to Midlands Mazda so we can walk you through the process! From auto loan interest to lease payments, we have you covered. Contact us to learn more about how you can make your next car-buying dream a reality.